I think that it is a little larger than the size of the general public. The comfort is good. This review is about item#35700253. It is nice to have a sense. A little disappointing is that the string is loose. I thought that strings that are hard to slip are a bit better. I am working on safety relations. 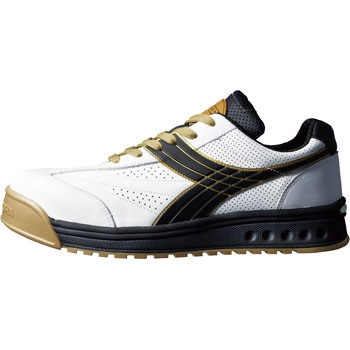 Since I walk a lot, safety shoes also purchase items that are easy to walk on. Dolken shoes are a good product because they have cushioning properties that will not get tired even when walking However, the seams of the shoes are always broken and torn. Especially I thought that there is nothing I can not do because I walk first from the seams around the base of the inner toe thumb, but from time to time I can tear from the same place. I like it very much because I am easy to walk, but I'd like manufacturers to take countermeasures. This review is about item#35700244. I chose comfortable shoes. The thread of the side seam will run out. Purchased for wearing in a company, it is handy in colorful and light weight. This review is about item#35700147. It is very easy to wear and hard to slip. This review is about item#35700131. Light, easy to wear, durable. It is a safety shoe that combines triple time. The design is also very good, it is not funny shoes to go out to the city at all. It is a word that I was glad to buy it. This review is about item#35700165.